The latest deal from our Deals Store is The Universal Hands-Free Car-Kit, which has been slashed by 61% to just $30, which includes free shipping to Canada. 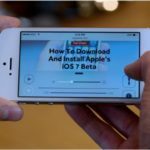 This hands-free unit connects to your iPhone or iPod’s 3.5mm headphone jack, where it will then broadcast a specific station for you to tune into on your radio. This functions similar to Griffin’s iTrip ($49.99) but at a fraction of the price. Plus, this unit also enables you to talk hands-free using your iPhone’s microphone but having sound emit from car speakers. 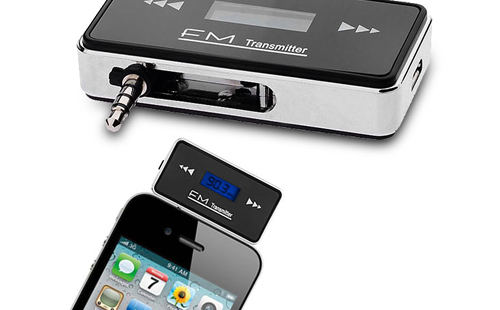 If your car doesn’t support Bluetooth or have a CD player or AUX jack, this could be an ideal solution to take your music listening (and phone calls) to another level on your drives. Free shipping is also available worldwide to the following countries: United States, Germany, France, UK, Italy, Spain, Netherlands, Belgium, Switzerland, Australia, South Africa, Japan, South Korea, and Singapore. 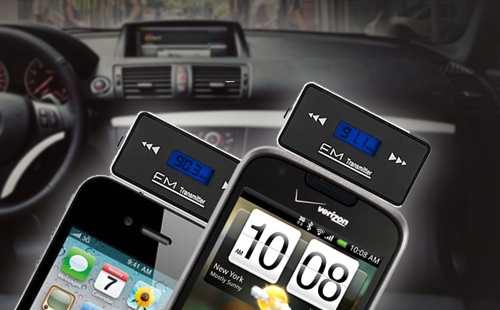 Click here to jump on the Bazaared Hands-Free Car Kit while it’s still available!